We are proud to offer the most flexible financing of any new & used car dealership near Arlington Heights, IL. Our mission is to provide a safe, dependable Ford vehicle to suit all budgets. Welcome to the Roesch Ford website, the central hub for our new Ford & used car dealership near Arlington Heights, IL. Here you can find the latest information on our 2019 lineup of dependable Ford vehicles as well as our wide inventory of used makes and models. We have the latest inventory and we try to make buying your next car as easy as possible. We understand that buying a car can be a pain or confusing so we try to eliminate as much of the frustration as possible. There are many vehicles to choose from when buying your next vehicle. 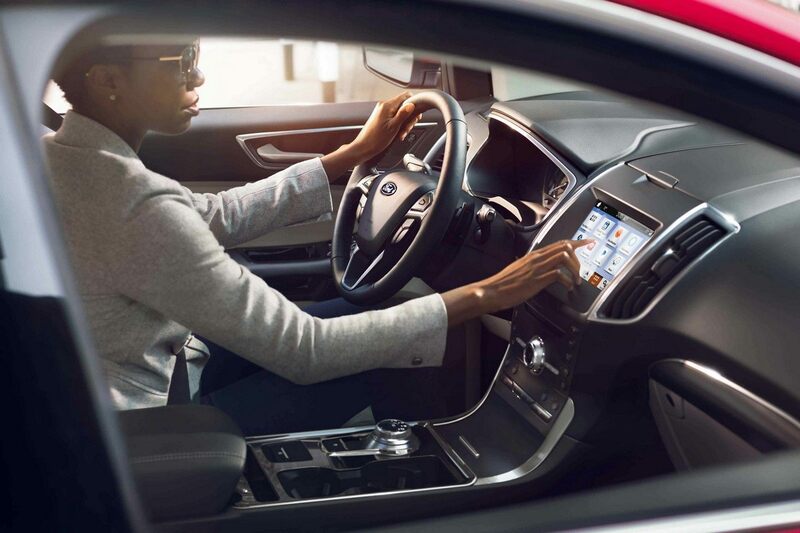 Roesch Ford strives to provide as much information as we can so that you know confidently that you are making the right decision in your purchase. We want our cars to be affordable. So we take every measure we can, whether its providing a special or providing certified-pre-owned vehicles that are extremely reliable, to make sure that you get the value you deserve from our dealership. 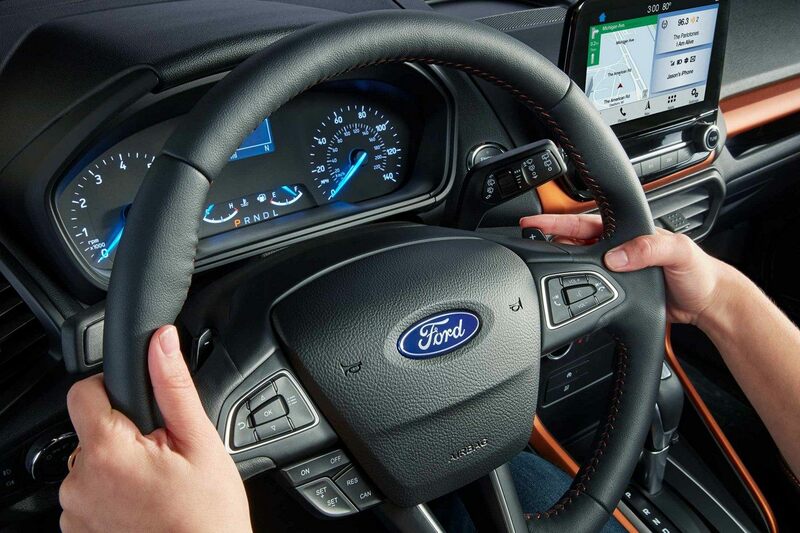 Ready for your new car to give you the latest features? You'll want to start with the 2019 Ford lineup. We have all types of vehicles here at Roesch Ford. Whether you need a family vehicle or a work truck, you’re sure to find something that suits your needs. An example of a great family vehicle would be, our top-rated 2019 Ford Edge SUV . We also have larger SUVs as well if you have a larger family or just need the extra space. 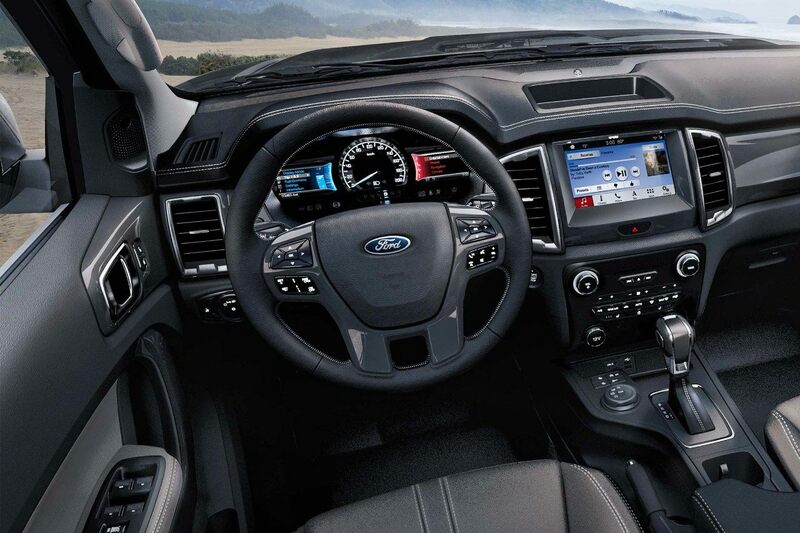 Our Roesch Ford team is here to help you navigate the options available on each new Ford vehicle. We don’t just stop at selling you your new vehicle. If it has any cool technology features, which most do, we’ll help you set them up and teach you how to use them so you’re not left to figure it out on your own. Also, you might not even know what features are available if we never showed you! Living near Arlington Heights means you probably commute to work at least 30 minutes. So maybe you’re looking for something fuel efficient? Once again, whatever your needs are , we’re sure to have a vehicle for you. Of course, drivers in need of a workhorse consistently turn to our number-one full-size pickup truck, and the 2019 Ford F-150 is no exception. If you’re in need of an adrenaline rush and you like stylish looking sports cars you’ll love the 2019 Ford Mustang. Our inventory of used cars is what most people are looking for. Used cars are generally more affordable and they don’t have the huge depreciation expense that Newer cars tend to get hit by. Look through our used car inventory now and search to your heart’s content to find a vehicle that suits your tastes, there’s no shortage of them. If you have any questions about any of our vehicles, feel free to contact us and we’ll provide whatever help you may need. For the best quality used cars near Arlington Heights, IL, you'll want to check our inventory of Certified Pre-Owned Fords. Every car, truck, and SUV in the CPO program must pass a rigorous 172-point inspection. For vehicles to meet our CPO program standards they must meet the following: must be five model years or newer and have fewer than 80,000 miles. Once these parameters are met, you can be assured your Ford CPO has like-new condition in the engine, transmission, cabin, exterior, and other key areas. Roesch and Ford have partnered together to offer another unique benefit of the CPO program. Basically, our CPO’s also come with transferable 7-year/100,000 mile powertrain warranty and 1-year/12,000 miles bumper-to-bumper coverage. We also offer 24/7 roadside assistance alongside that. What’s not to love? The Roesch Finance Center wants to make it as easy possible to get you financed and in your next vehicle. That’s why created the Roesch Ford one hour promise. Nobody wants to sit in a car dealership for hours signing paperwork, and waiting for each of the steps it takes to buy a car. We’ve streamlined our process to get you in and get you out at your pace. Some people want to take time to look over everything and that is completely fine too! We’ve found that most customers want the process to be over and want to go home with their new vehicle. We don’t just use your credit report either. We look at your entire financial picture to get you the best deal we possibly can! It’s win-win. You get an awesome deal and we promise to get it done in one hour! What else can you ask for? Also to make sure you understand everything going on during the financing process, Ford has created a credit education program that you can view online at anytime. We also created a guide on leasing vs buying, to help you with that decision as well. We invite you to speed along your financing process by getting started right now on our website. We provide a secure online finance application as well as a monthly payment calculator to help you understand how much car you may be able to afford. Your experience with the Roesch Ford Service Center begins with our online Owner Home. In your onlin Owner Home, we’ve given you access to tons of resources including how to guides, your vehicle health, your scheduled service intervals, and more! You can also use this online portal to schedule your service from the convenience of your phone, tablet, or computer. Need routine maintenance in a hurry? Visit our Quick Lane Tire & Auto Center near Arlington Heights, IL. People love our quick lane service. It allows you to simple, maintenance items taken care of without an appointment or without having to wait in long line. Should you ever encounter damage to your Ford vehicle during a collision or other accident, our auto body shop can make your car look like new using PPG paint mixing and matching and Genesis Gold Electronic measuring to restore the frame to factory specifications. At Roesch Ford, we want our customers to save as much as they can. Keep an eye out and check our specials frequently to see which cars you can get at a great oruce, We also have cashback offers and leasing deals on our website as well. All these deals are just waiting for you to use them. All of our specials change frequently to ensure every driver can find the real deal, so act fast when you see a deal that helps you! Take Advantage of Our specials Now! 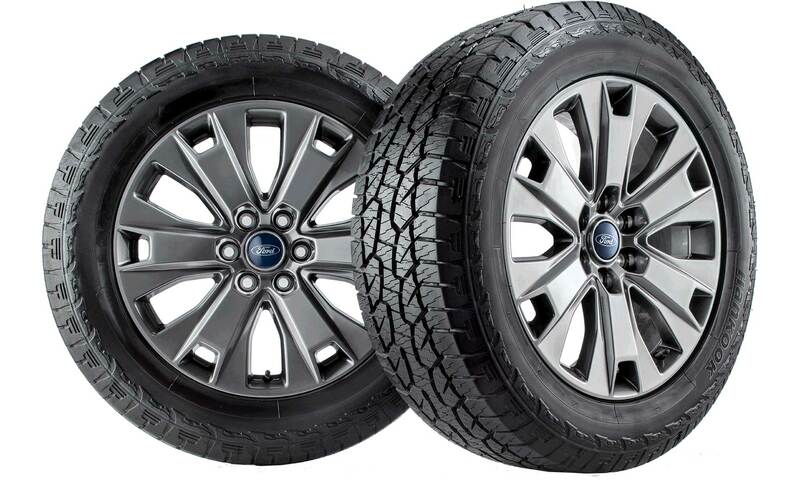 We also partner with Ford to provide cash-back rebates, lease specials, and other cost-saving programs. 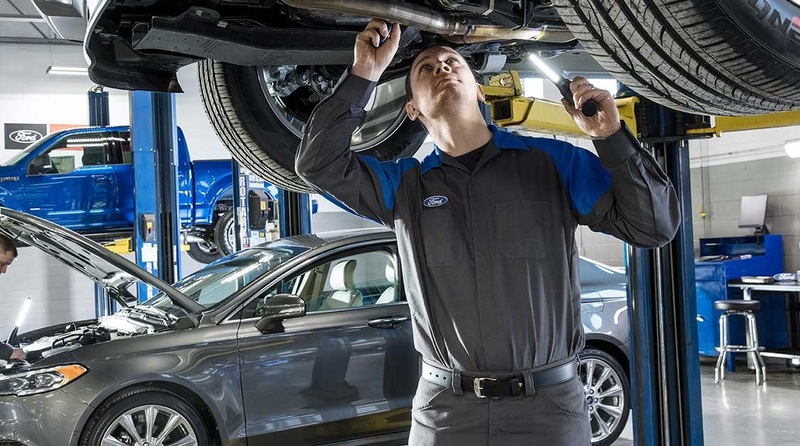 You can even find regularly rotated specials and coupons for our genuine Ford parts and our Ford service center. Why Test Drive a vehicle from Roesch Ford near Arlington Heights, IL? Come By For A Test Drive Now! When you buy a used car from Roesch Ford, you get more than just a reliable, like-new car. Our new & used dealership gives you everything you could possible need for a great experience, save money & it will only take 1 hour at the most. We stand behind our new ford vehicles and used cars with our Roesch Ford service center that helps keep you on the road with no problems. We only use GENUINE Ford parts and all of our mechanics are trained and Certified by Ford. We also price our services fairly and offer plenty of service specials for you to take advantage of. As a family-owned new & used car dealership, Roesch Ford wants to keep a great reputation and that starts with making customers have the best experience possible at our dealership. See our reviews online before you come in. Just remember, that nothing can compare to experiencing the Roesch Ford promise first hand. See everything we have to offer, find your favorite vehicle, and come on in now, we’re looking forward to helping you on your journey!